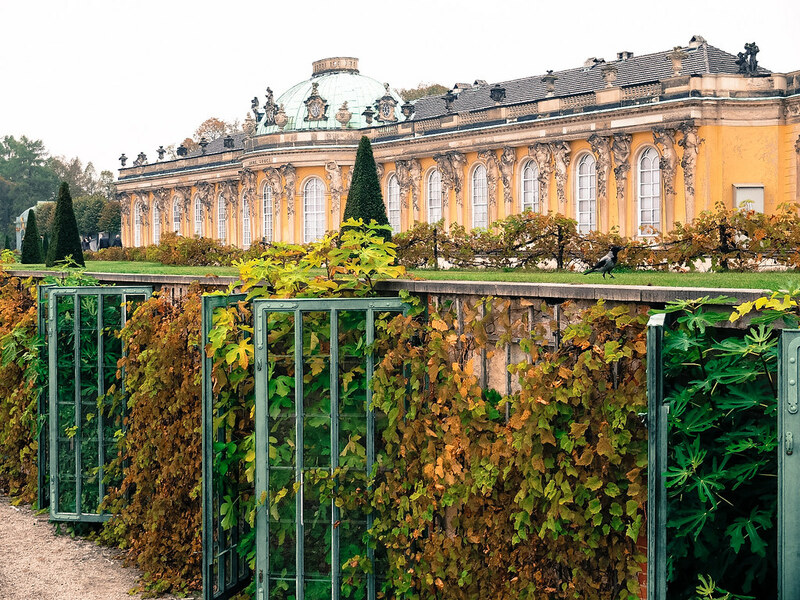 Bordering the city of Berlin is Potsdam, a thousand years old town known for its UNESCO World Heritage historic castles and parks. 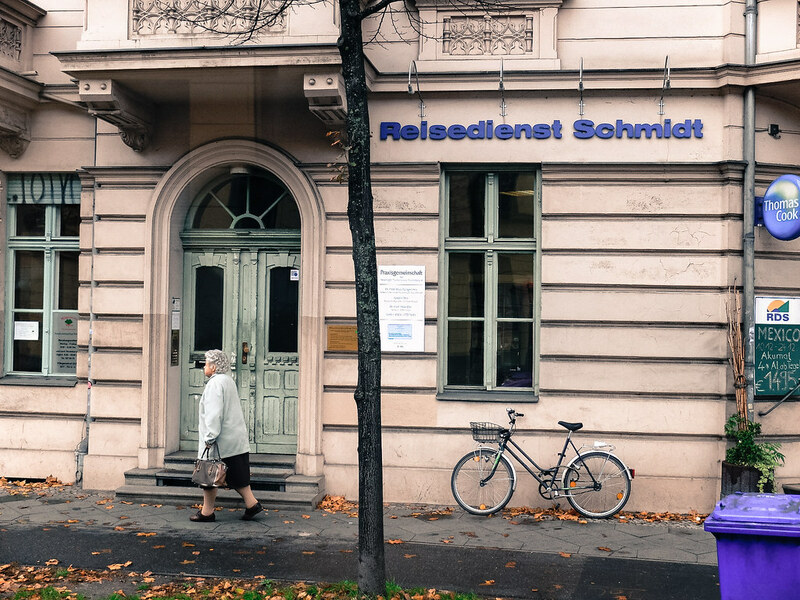 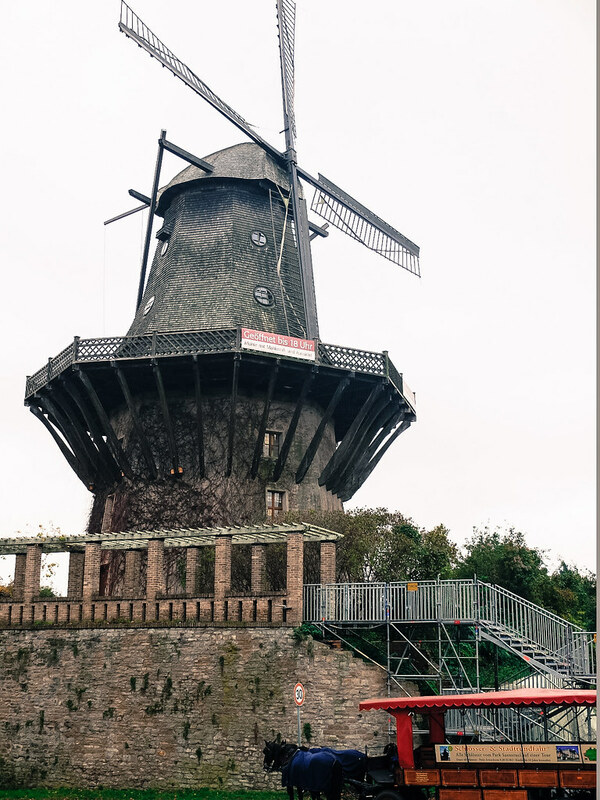 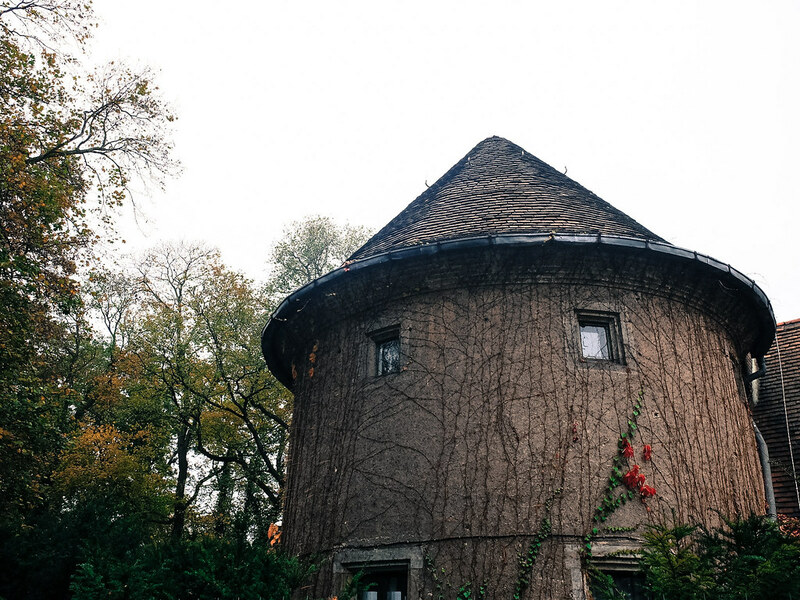 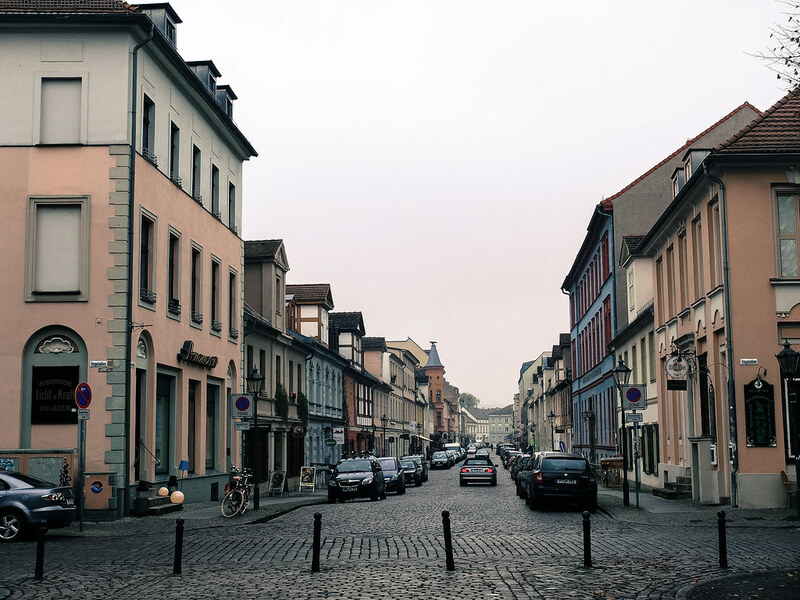 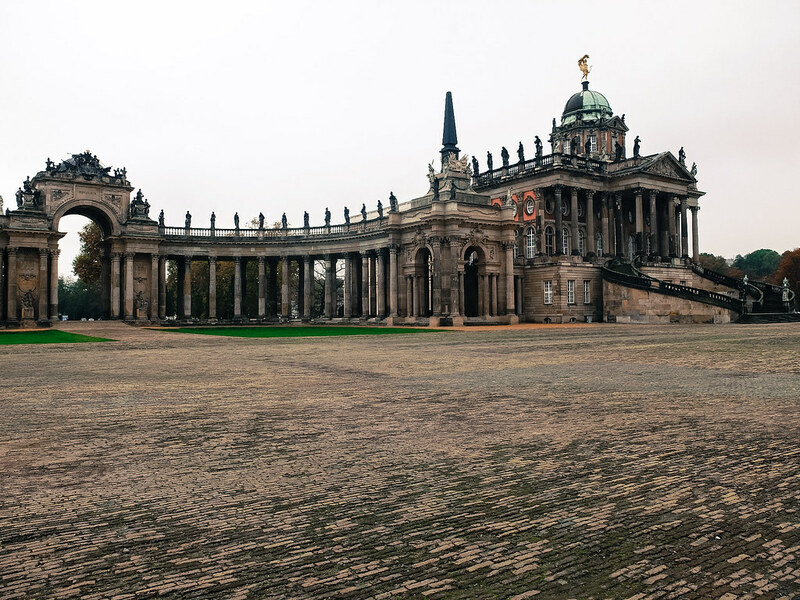 Easily reachable from Berlin by S-Bahn train in less than an hour, I chose Potsdam as my side trip for I was drawn to its wide-open space and small town charm. 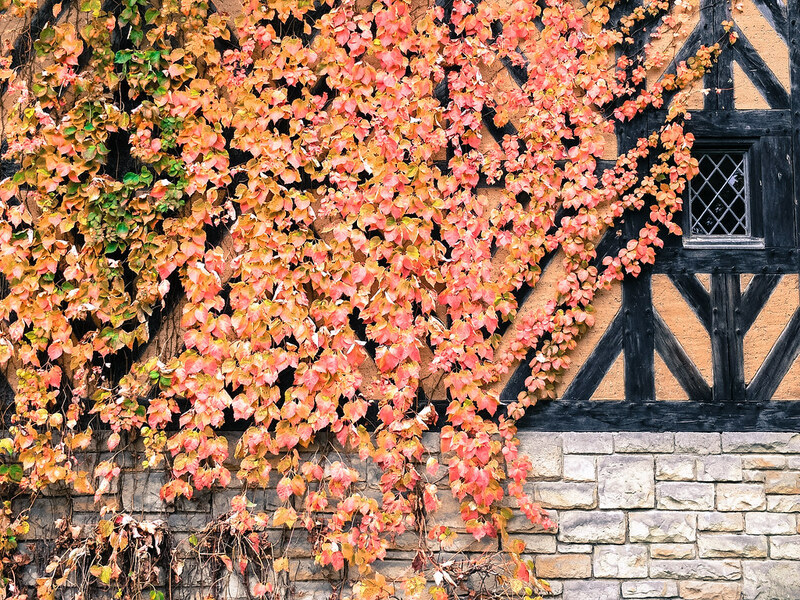 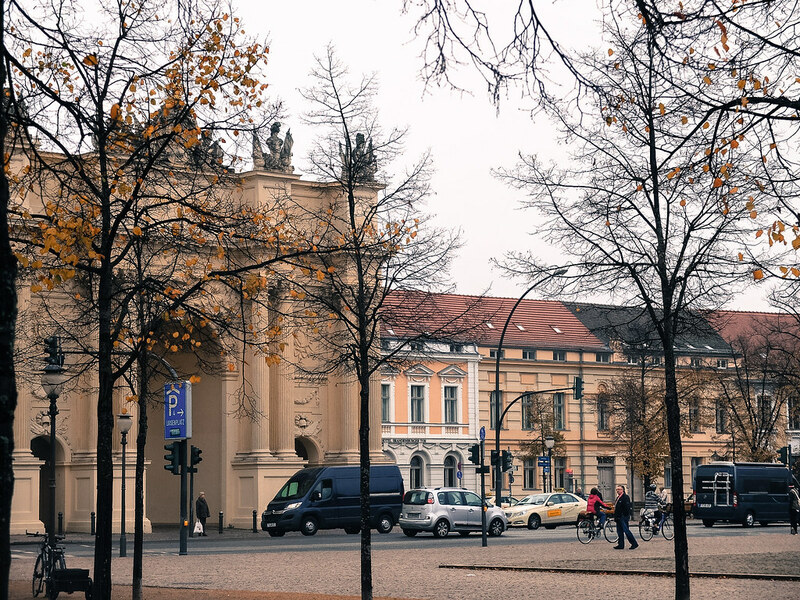 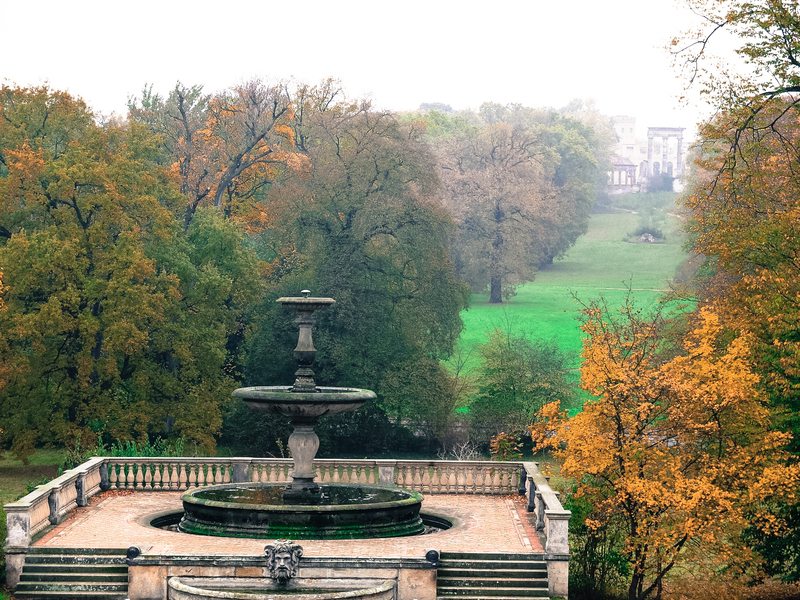 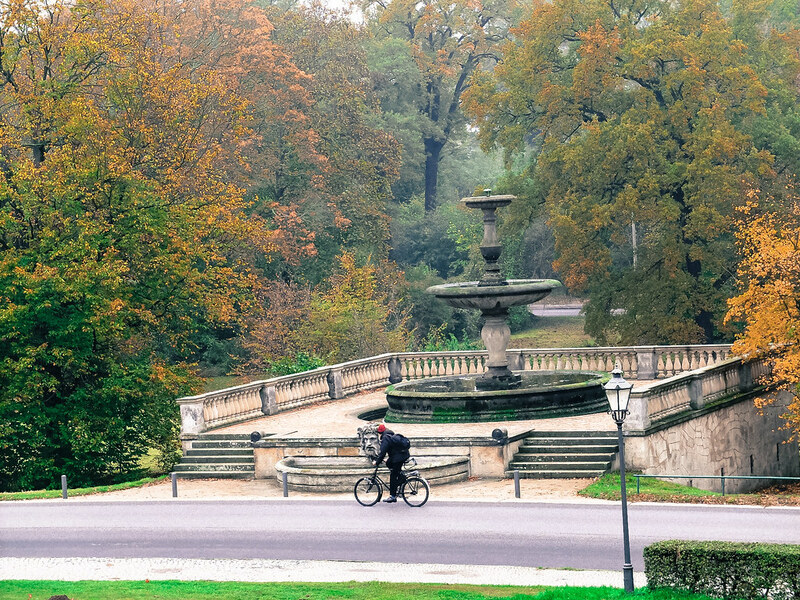 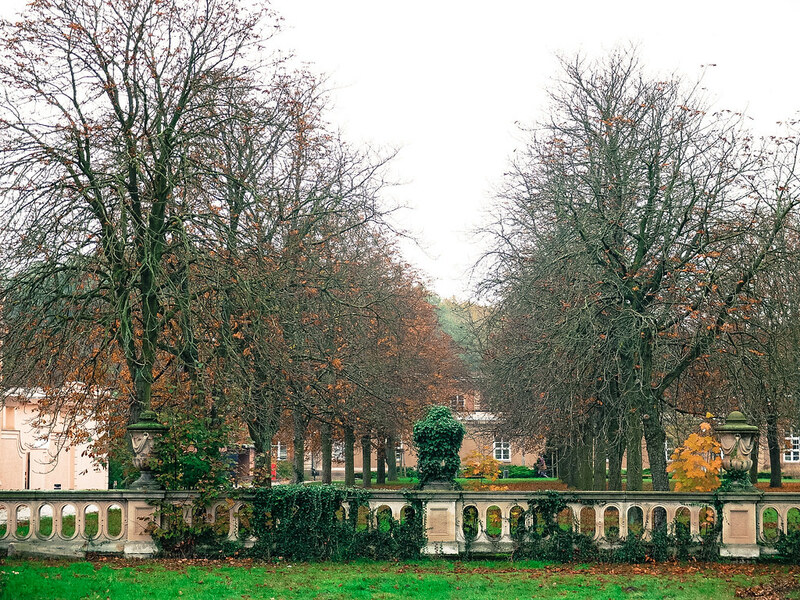 How I wish the weather was better for autumn in Potsdam was in full swing and anyone can just simply walk and walk and admire everything that is elegant about the capital of the federal state of Brandenburg. 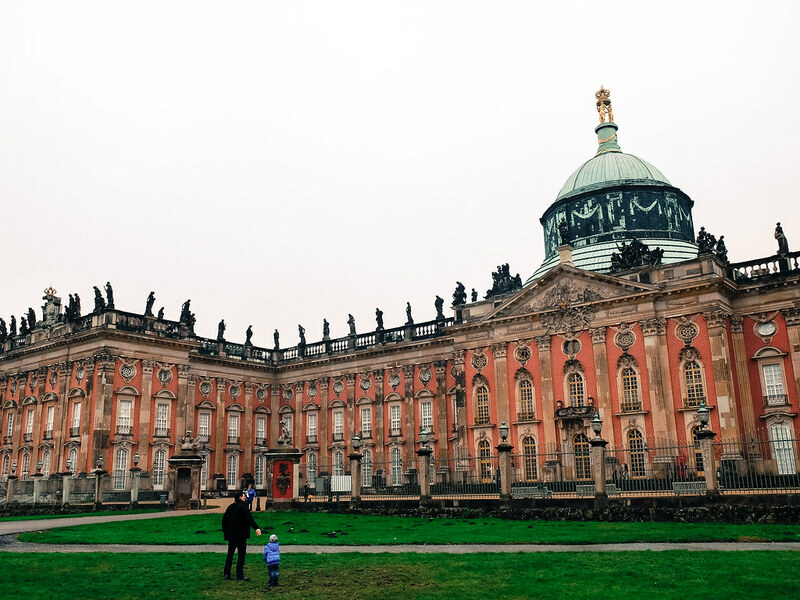 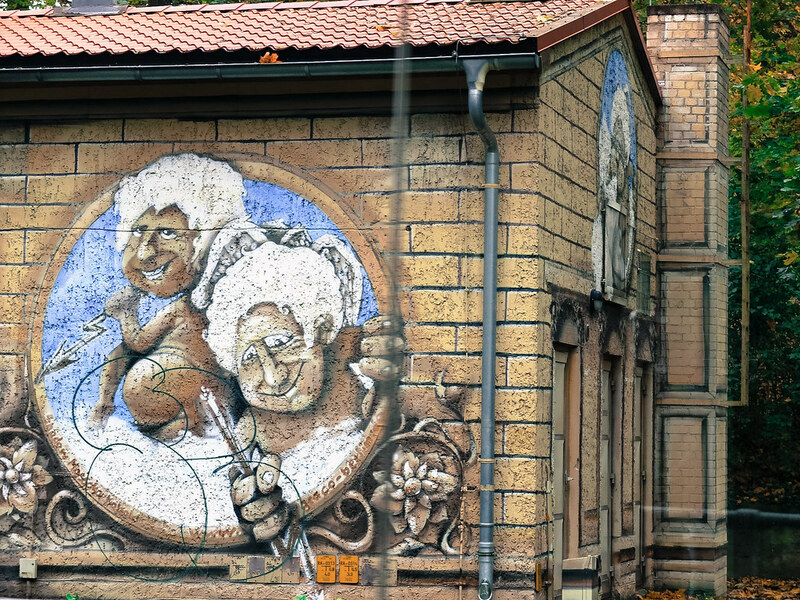 A town built for royalty, Potsdam is the residence of Prussian Kings and German Kaiser. 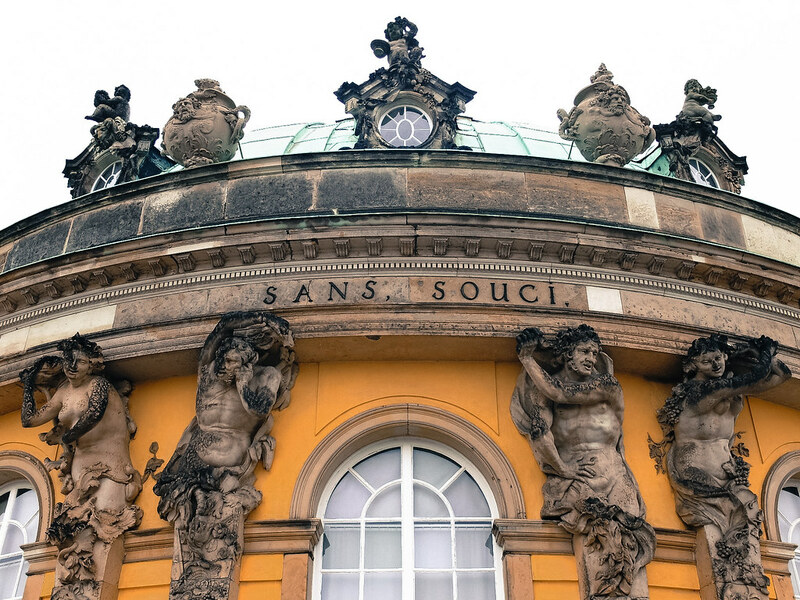 On top of the list of royal buildings is none other than Sanssouci Palace (Schloss Sanssouci). 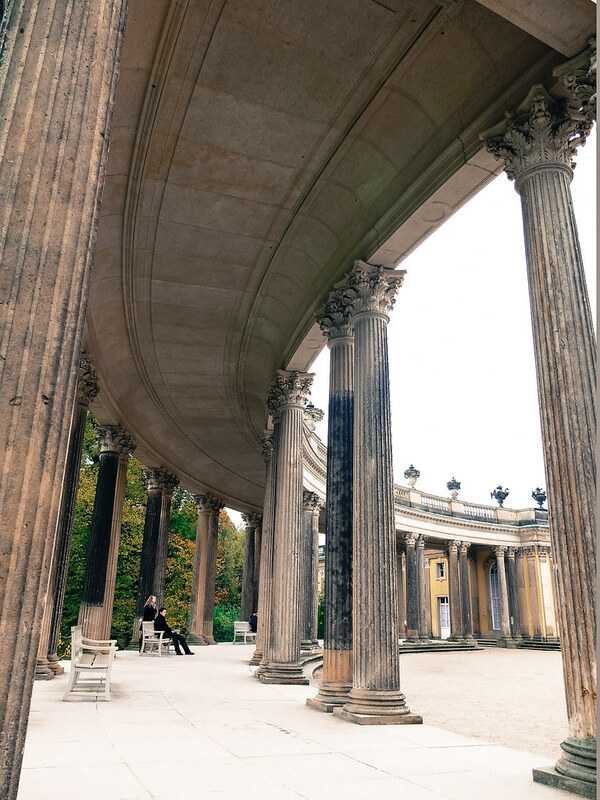 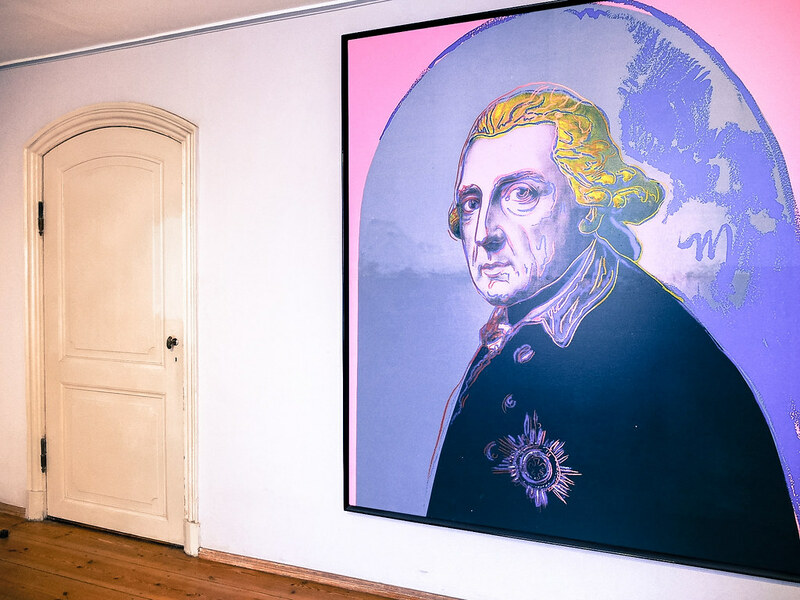 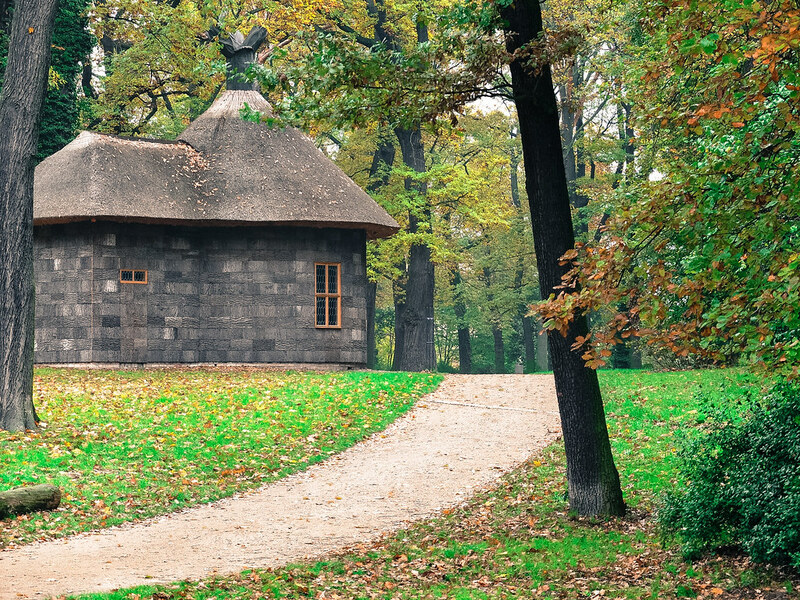 King Friedrich II (Frederick the Great) private retreat, Sanssouci from a French phrase “sans souci” translate to “carefree” is truly a place for summer vacations and idle moments. 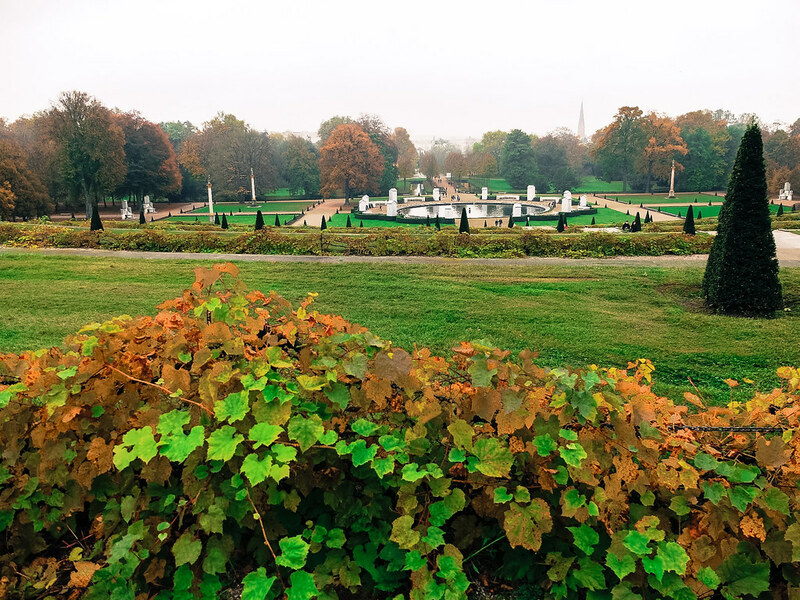 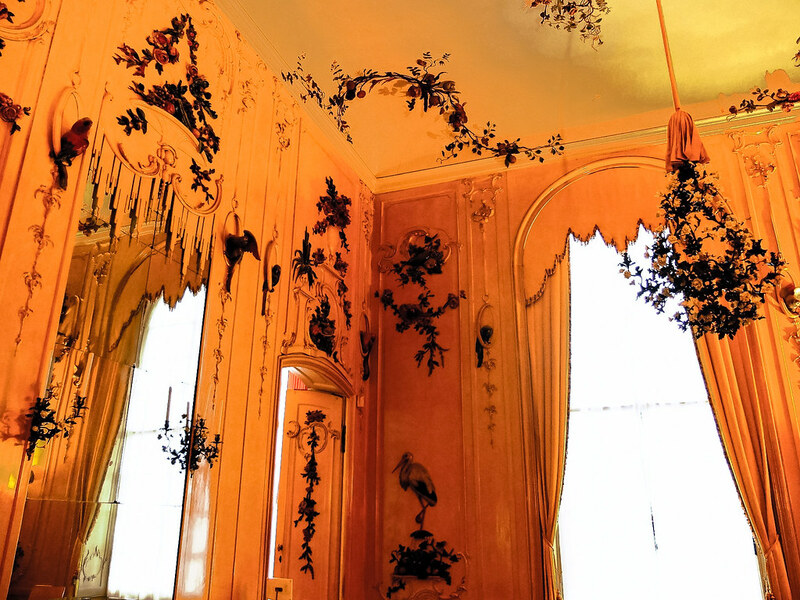 Though the main building is not as huge as Versailles and more of a large single-storey villa, what really put the grandeur in Sansoucci is the park and terraced garden. 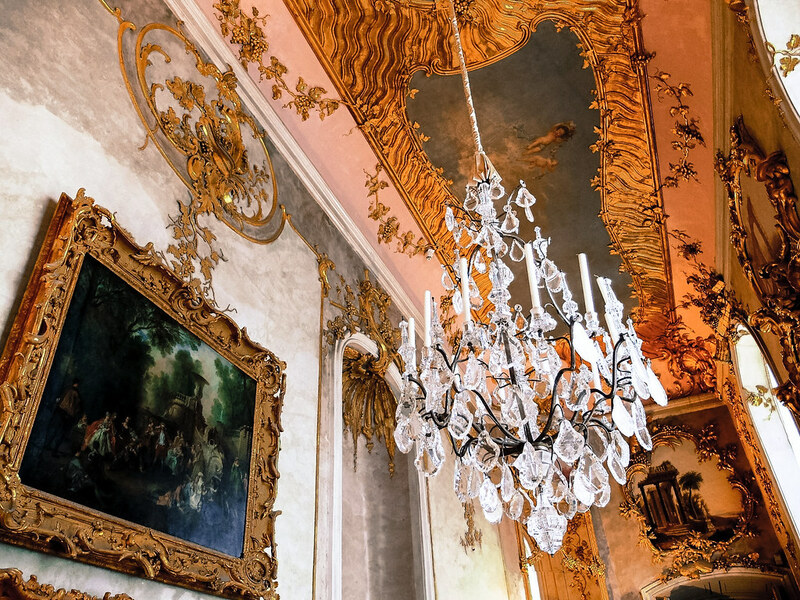 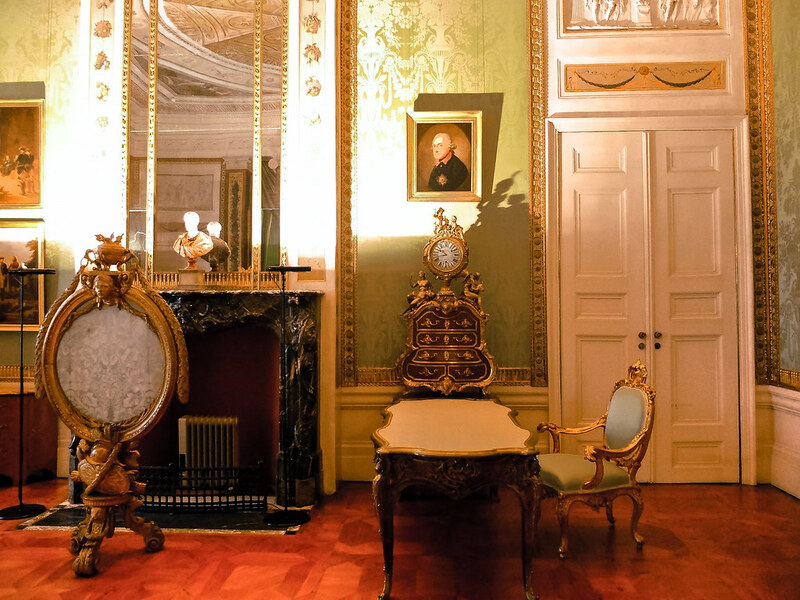 Visitors are allowed to enter the palace and admire the Rococo style interior design strictly on specific time slot reservation only. 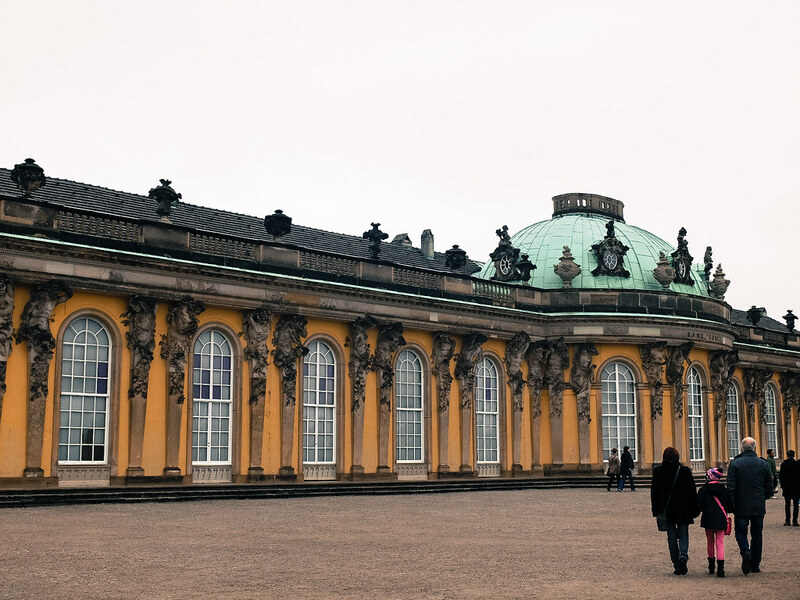 Schloss Sanssouci is the burial site of Frederick the Great. 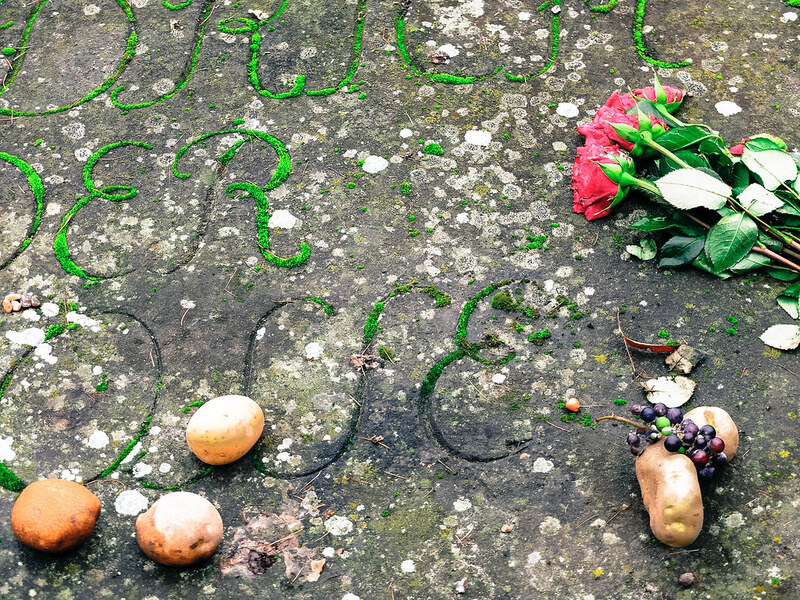 If there is one thing that I remember the most about my Potsdam trip are the potatoes that people put on his graveyard. 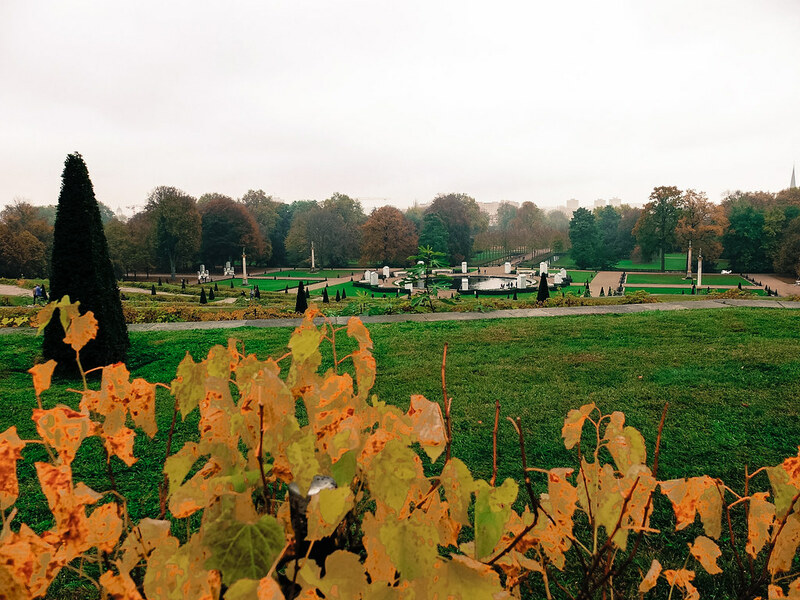 Two things I learned- Frederick the Great chosen to be buried alongside his beloved dogs instead of his wife and the potatoes that people placed on his grave is actually a sign of respect, for one of his legacy was actually introducing potato in Germany which eventually became a staple crop. 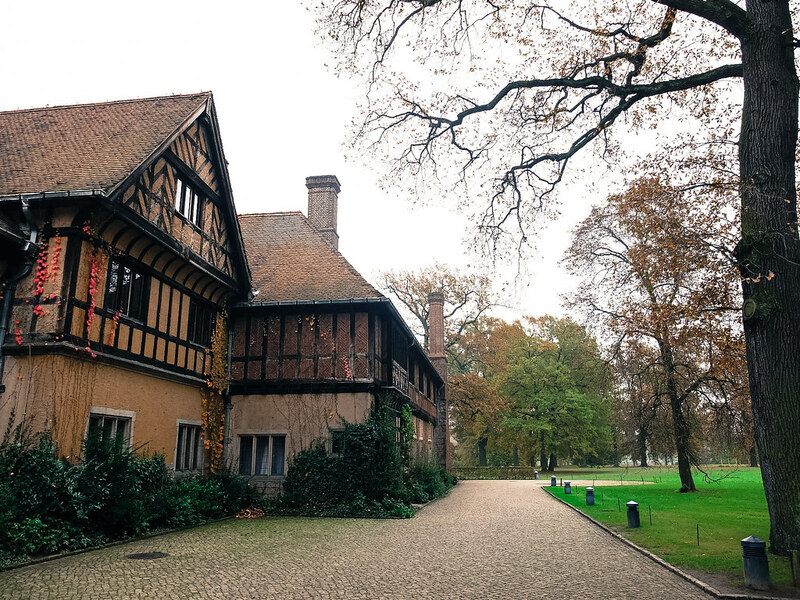 Apart from Sanssouci, another equally important palace in Potsdam is the Cecilienhof (Schloss Cecilienhof). 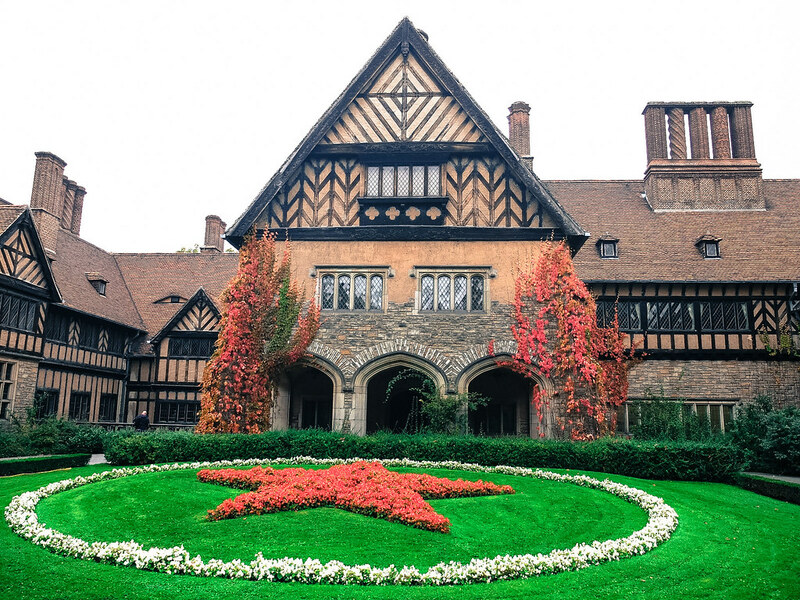 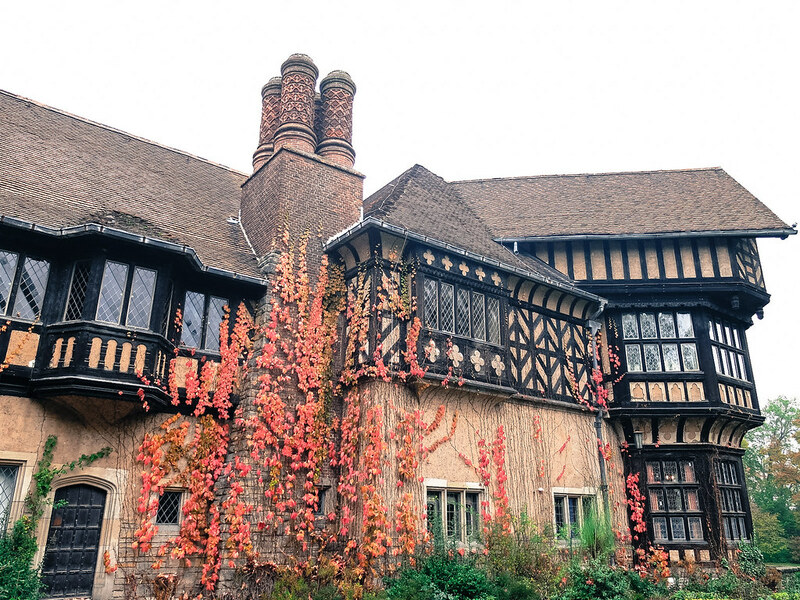 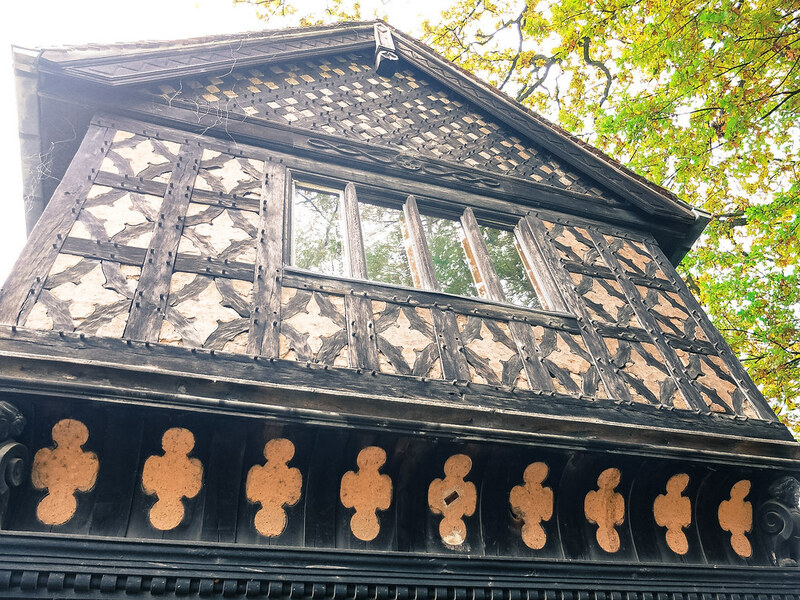 With architectural style following Tudor Revival, it is hard to imagine that the ”cottage style“ Cecilienhof was the venue of the vital 1945 Potsdam Conference in which Churchill, Truman and Stalin discussed important decisions that shaped the post World War II era across Europe and Asia.